Four years ago, my family rented a house in the Outer Banks, on Emerald Isle, NC. 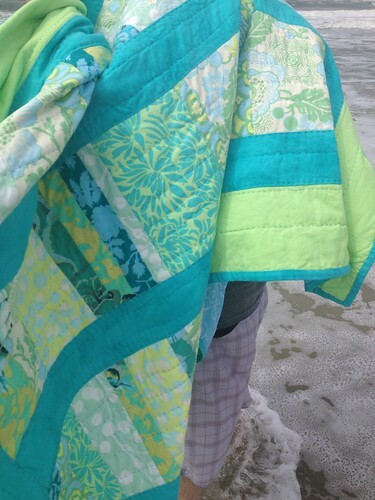 My mom and I both brought fabrics in shades of blues and greens (without knowing what the other would bring). 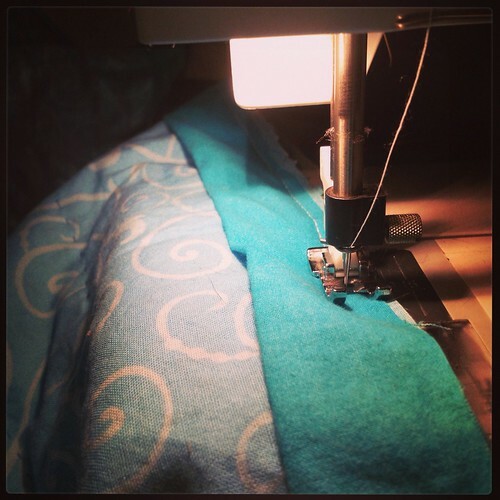 We pieced together strips, without having a definite plan. We thought we'd have enough to make one quilt, but we were delighted to discover with an added border, we had plenty for 2 tops! And that's where progress ended. We went home, put the strips away…and let it marinate for over two years. Last summer while I was visiting for a weekend, mom pulled the strips back out and all of a sudden: we were ready. 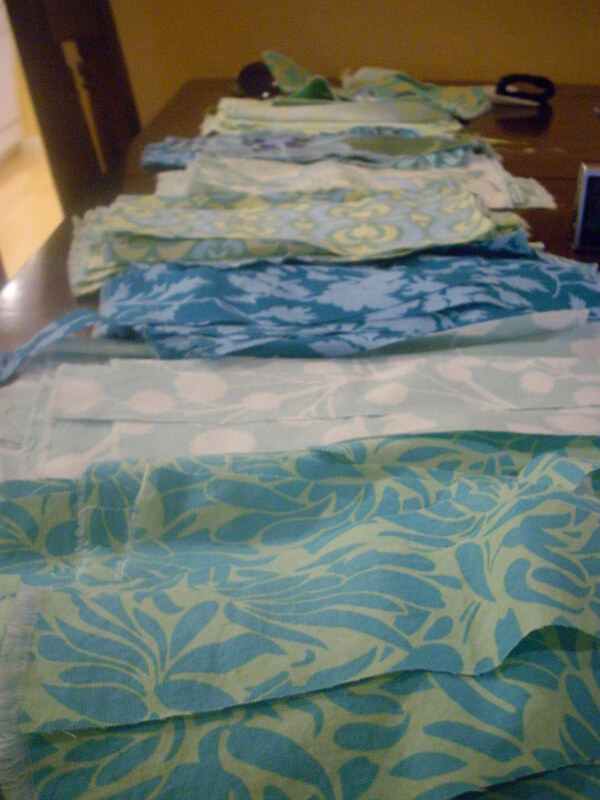 We picked our own fabric for borders and the back and we had my top and back pieced together by the end of the weekend. 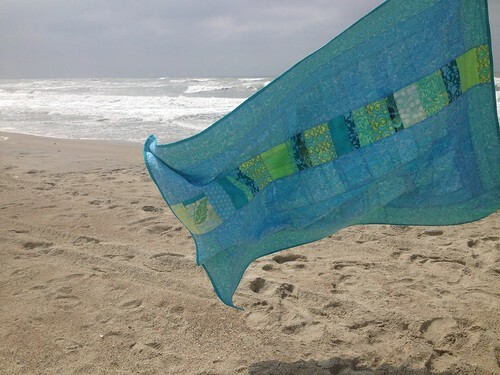 And so I took my quilt sandwich home with me, in hopes of finishing hand-quilting it by this year's trip back to Emerald Isle. 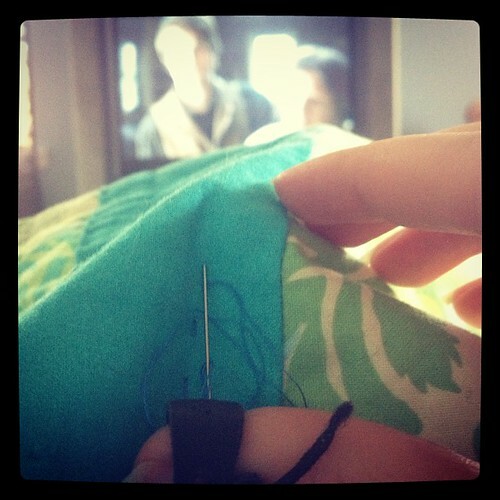 I quilt mostly on the couch, while watching TV or movies with Jay, after work. 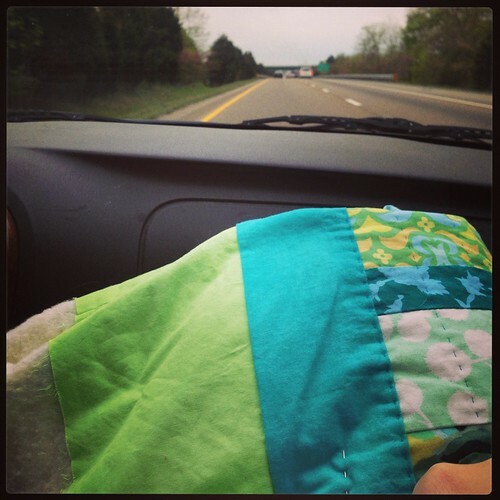 When we have a road trip ahead of us, I'll even quilt while riding! 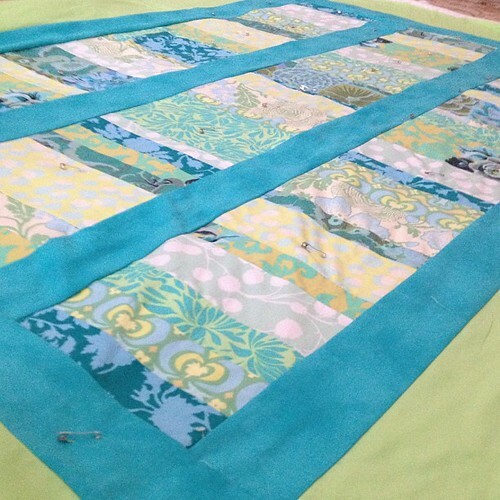 This quilt is the first in my quest to finish 6 quilts in 2013. 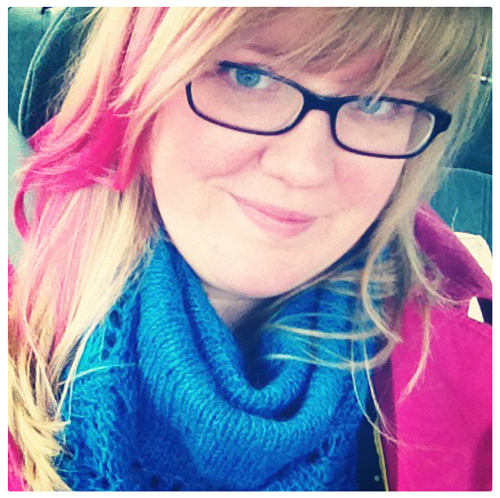 To stay on track, I'm participating in the 2013 Finish-along, and you can read about my goal for this quarter here (I'm just a bit behind). 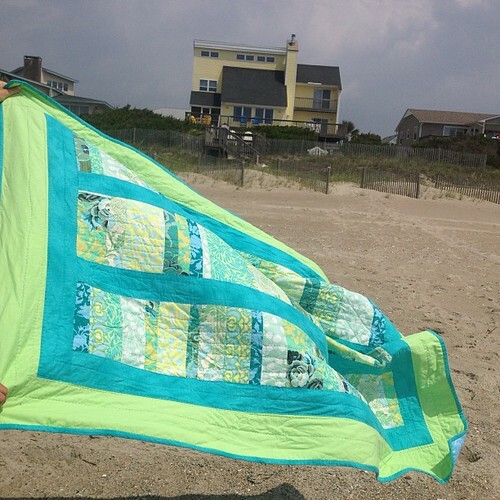 Take a minute to admire the other Q2 Quilts in the FAL on She Can Quilt. Gorgeous! 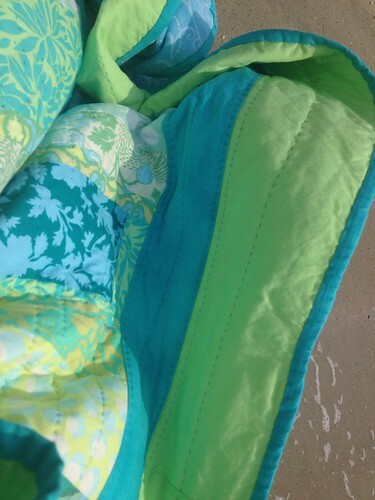 I just love the beach-y colors! 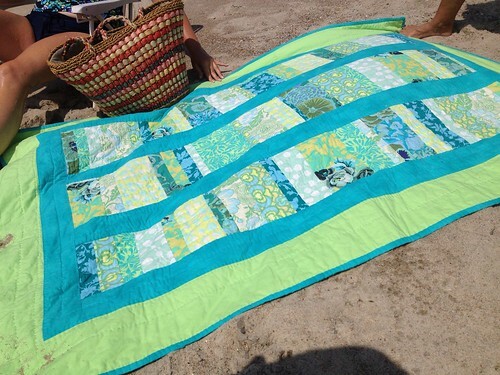 Congrats on finishing all that hand quilting! Beautiful! 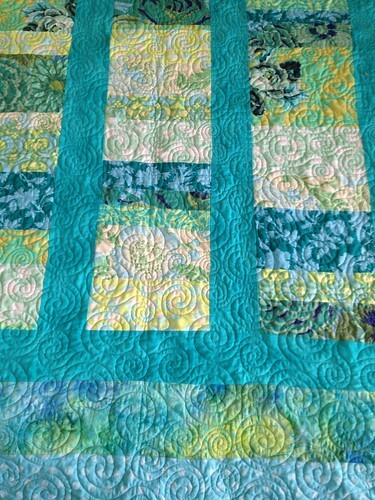 Quilts take a long time, but they are worth it! It looks very comfy, too. 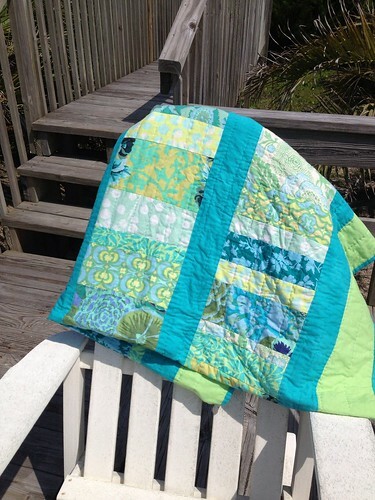 How wonderful that you and your mom share quilting! Love those beach pictures!